Since 2009, CanvasPop has been obsessed with one thing: providing customers with the highest quality canvas photo prints anywhere. This obsession doesn’t just stop at the finished product, it is a focus of everything we do, from our world-class customer service to our amazing lifetime guarantee. You can buy a canvas print or framed print anywhere but there’s only one place to print a CanvasPop. Over 100,000 satisfied customers trust us with their photos and precious memories. Each and every print we make comes with an extra special ingredient: love. That’s right, we love what we do and we take pride in making the best canvas prints and art prints in the world. We know you’ll love our printing service too. And we'll show you why CanvasPop is the better choice! So you can see exactly what you’re getting! No surprises. To give you advice and help get your order perfect. 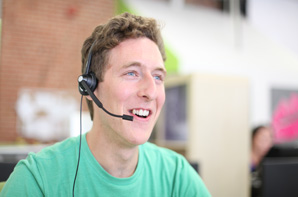 E-mail only support or call center reps that might be able to help you track your order. By people who really care — by chat, email or phone. E-mail support that can take days to get a response or worse yet auto replies and voicemail. Who wants that? The best quality prints in the world. At a great price. All hanging hardware installed, we use high quality piano wire, rubber bumpers to protect your wall and we even include the nail! Many of our competitors cut corners by not using high quality laminates, printing with cheaper inks, and making you install the hanging hardware. None include a nail. You absolutely love it or we’ll reprint it or you get your money back. That simple. That’s why we call it our 100% Love Guarantee. Ranges from no guarantee to a month but you’re responsible for returning the canvas — and we can’t guarantee it will be easy. Our talented photo experts lovingly adjust the contrast and colors and even remove red-eye at no extra cost to make sure your photos look perfect. Not offered or if they do offer it it can cost as much as $60 (gasp!). Lots of extra steps and complicated options. You have to figure out your image ratio, minimum file size requirements and follow their directions. Any resolution image, any format, any size. We make it look great…guaranteed! Minimum file size requirements, complicated options and multi-step ordering processes designed to make less work for them but more work for you. We were the first and only canvas printing company to offer both of these services. Just a few reasons to choose us. Let us tell you why you should choose CanvasPop. When it comes to customer satisfaction, well, we’re not just satisfied, we’re obsessed with ensuring our customers love their entire CanvasPop experience, from our easy ordering process to our amazing customer support to our top quality canvas prints and framed prints. We even guarantee you’ll love it — for life! Learn more here. Gallery quality Canvas Prints and Framed Prints. We use archival-grade canvas, printers, ink and frames to ensure the highest quality canvas photo prints. Similarly, our framed prints are printed on premium 255gsm vibrant lustre fine art paper, crystal clear, low-glare plexiglass insert, and finished with handmade wooden frames. We don’t cut corners, outsource our work or use machines. Our canvas prints are handcrafted in America Learn more about our commitment to quality here. Photo to Canvas print experts. Transforming your precious photos to canvas is a process we take very seriously. Our designers fine tune your photo, remove red-eye, adjust colors and crop the image to fit your canvas photo print perfectly. 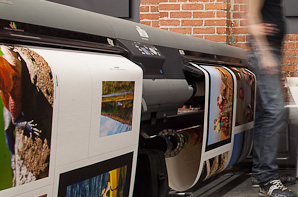 Want to print low resolution images? No problem, we’ve got you covered. Learn more about our photo to canvas process here. Here are a couple more reasons why you should choose CanvasPop. Best quality prints in the world. Our canvas prints and framed prints are made with only the highest quality materials in the industry. We don’t cut corners on quality. About.com and the NY Times both gave us a 5-star rating. 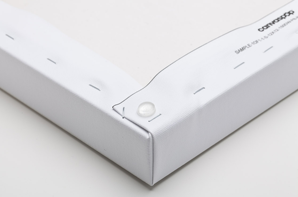 See how our canvases are made in detail. This means either you love it or we’ll fix it or we’ll refund you. No small type, no excuses — just a promise that means you will love your canvas print — guaranteed. Our process ensures that you get perfect results optimized for any sized canvas, every time. Our skilled designers will expertly adjust contrast, saturation, resolution, sharpness… and more. We’ll even remove red-eye all at no extra cost. Our canvas prints are handmade by real people. That means real eyes inspecting your image and real hands framing it with care. Our photo canvas prints are made to last 100 years ensuring they don’t end up in the landfill. All our shipping boxes are made from 100% recycled cardboard. Even our printers are ENERGY STAR™ rated. We’re obsessed with mobile photography, that’s why we developed special techniques to print iPhone photos and any other mobile photography beautifully! We also allow you to print Instagram photos directly from Instagram. Love may be blind, but if you want to see your canvas print before its made ask for a digital proof — it’s free! Still not sure about us? That’s OK, maybe these guys will change your mind. New York Times, Good Morning America, Mashable all have very nice things to say about us. You will absolutely love your print or we'll give you your money back. We promise.